To counter Sony and Samsung in mid-range market, Taiwani handset handset maker, HCT has launched all new HTC Desire 820G+ Dual SIM in Indian market priced at Rs 19,990 which first launched in Taiwan on 1st of May priced at TWD 5,990 (approx. Rs. 12,350 in India) in Blue Lagoon & White Birch colour option. 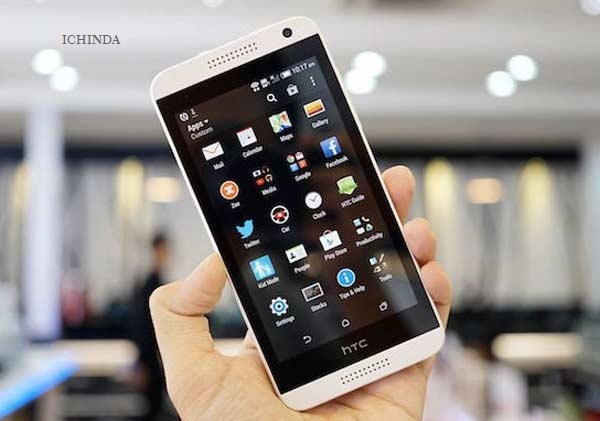 HTC Desire 820G+ Dual SIM will counter Sony Xperia Aqua M4 Dual, Sony Xperia C4, Samsung Galaxy A7,Samsung Galaxy E7 and Samsung Galaxy Grand Max. The all new HTC Desire 820G+ Dual SIM supports Dual-SIM(GSM+GSM), Nano SIM variant with Wi-Fi, FM radio, Bluetooth, GPRS/ EDGE, GPS/ A-GPS, 3G and 4G LTE comes with a bigger 5.5”-inch HD (720x1280pixels) display delivers stunning color consistency from almost any angle perfect for watching movies, playing games and reading e-books. HTC Desire 820G+ Dual SIM runs on Android 4.4 kitkat OS with HTC Sense UI skinned on top powered by 1.7GHz octa-core processor with 1GB RAM promising superior gaming environment and blazing multi-tasking while 16GB Internal memory expandable up to 128GB via MicroSD card offers enough space to store your date. HTC Desire 820G+ Dual SIM lets you capture your favourite moment with 13-MP Primary camera with LED flash, f/2.2 lens and BSI sensor and 8-MP front-facing camera offers you the best video calling experience and clicking selfies just like HTC 826. It also packed with a 2600mAh battery promising talk time up to 30 hours and standby time up to 761 hours on 3G measures 157.7×78.74×7.74mm and weight just 155 grams. HTC has recently launched it’s mid-range HTC Desire 626G+ Dual SIM priced at Rs. 16,900 in Blue Lagoon & White Birch colour option. The all new HTC Desire 626G+ Dual SIM supports Dual-SIM(GSM+GSM), Nano SIM variant with Wi-Fi, FM radio, Bluetooth, GPRS/ EDGE, GPS/ A-GPS, 3G and 4G LTE comes with a bigger 5”-inch HD (720x1280pixels) display runs on Android 4.4 kitkat OS with HTC Sense UI skinned on top powered by 1.7GHz octa-core processor with 1GB RAM promising superior gaming environment and blazing multi-tasking while 16GB Internal memory expandable up to 128GB via MicroSD card offers enough space to store your date. HTC Desire 626G+ Dual SIM lets you capture your favourite moment with 13-MP Primary camera with LED flash, f/2.2 lens and BSI sensor and 5-MP front-facing camera offers you the best video calling experience and clicking selfies. It also packed with a 2000mAh battery promising talk time up to 30 hours and standby time up to 761 hours on 3G measures 146.9×70.9×8.1mm and weight just 138 grams. At last few honest word from heart that the all new HTC Desire 820G+ Dual SIM is going to rule the mid-range smartphone market. What you think? Please be open to give your view.